May | 2016 | Home Wise! Family Smart! The sun just popped out here in Lincoln, Nebraska! What a great time to think about “shadows”. The Learning Child team from Nebraska Extension shares ideas and lessons on using shadows to help children learn about emotions! Give it a try with your children or grandchildren! Our friends at stillplayingschool.com have a great idea to use shadows to teach children about their emotions. This is a great way to play outside in the sun to learn about spatial relations and make shadows. Children can use sidewalk chalk to draw different emotion faces on the shadows. They can also learn about social cues when they move their bodies in different ways to show anger, happiness or sadness. This is a great way to begin the conversation of emotions and what they look like. Even toddlers can get in on the fun! Are you like me and feel as though you’re a magnet for mosquitoes? Are you concerned about contracting one of the many illnesses mosquitoes have been known to transmit? What’s all this buzz about the Zika virus? Zika is a mosquito-borne virus acquired by locals and travelers in Central and South American regions. Infected adults may show symptoms such as fever, rash, headaches, and/or red eyes, but many will have no symptoms. The problem with Zika is that it has devastating consequences for a developing fetuses. A pregnant woman can pass the Zika virus to her fetus, where it can result in a serious birth defect called microcephaly. Pregnant women can be infected with the Zika virus if they are bitten by an infected mosquito or through sexual contact with an infected male partner. The main mosquito that transmits the Zika virus is the yellow fever mosquito, Aedes aegypti. This species, when infected, can transmit dengue, chikungunya, and yellow fever. Their geographical range is mostly tropical, subtropical, and temperate climates, and their natural range does not include Nebraska. My grandson found a swallowtail caterpillar! A garden connects family with nature! Your landscape is a ready-made science lab for hands-on learning! Whether you have a small backyard, live in an apartment, on a farm or acreage, you can provide important opportunities for your child or grandchild to experience the wonders of nature. 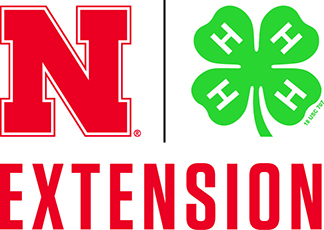 Since joining the Nebraska Extension office in Lancaster County a month ago, I’ve had a variety of questions regarding termites and termite control. My job is not to provide inspection or treatment services, but to provide information about termites and their management, so that homeowners can make informed decisions regarding hiring a pest control company to treat, as well as prevent infestations in the future. The only termites found in Nebraska are subterranean termites. As their name implies, they maintain a connection with the soil by nesting primarily in the ground, or traveling in mud tubes from the ground up. Due to their cryptic nature, they are seldom seen; the damage they cause to cellulose materials, which includes wood, cardboard, drywall paper and cotton fabric, can remain undetected for years.